As real estate prices soar, tiny homes are becoming more prevalent. If you’re thinking about moving into one, there are multiple aspects of your life that you’re going to have to scale back, including your laundry. No more 6.0-cu.-ft. behemoths for you, you’re going to have to get a compact. You might have to compromise on size, but getting the right model means you won’t have to lose a shred of performance. However, smaller capacity does mean more loads and more time spent doing laundry, but that’s a small price to pay to avoid lugging your dirty clothes down to the laundromat. Also, keep in mind that compact washers often require a 220V connection. If you live in a condo or apartment, you’ll probably need the association or landlord’s permission to get a compact set installed. With these obstacles in mind, we spent months researching and testing the compact washing machines. After analyzing their stain removal, water usage, and features, the Miele W1 (available at Abt.com for $1,999.00) came out on top. Here are all the compact washers we tested in ranked order. The Miele W1 WWH860 blows most compact washers out of the water. Not only does it satisfy the needs to fit in a laundry closet or tiny home, but it also has innovations that we’d normally see on a full-sized flagship model. What really impressed us was this Miele’s versatility. It has the ability to satisfy consumers that want to set their laundry and forget it and micromanagers that want to control every aspect of the wash.
For example, this model comes with TwinDos—a feature that utilizes pre-filled detergent and oxygen bleach cartridges. It automatically dispenses the correct amount of detergent, giving you the optimum clean. However, you can also adjust the amount of detergent dispensed down to the milliliter to suit your specific needs. As many fancy features as the Miele has, we think the more important thing is that it cleans well. In that regard, this washer passed with flying colors. Our lab tests show that the one-hour-and-23-minute Normal cycle is one of the best in its class, and we found that the honeycomb textured drum lifts stains from clothes without fraying them. High-tech features combined with good-old-fashioned scrubbing creates a top-notch compact washer. While the 860 is very expensive, it’ll pay back everything you put into it. 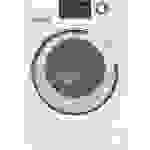 The LG WM1388HW is a great compact washer for a family that has limited space, emphasis on the word family. It's clear from the cycle selection and control layout that this LG was designed to be a supplementary washer for new parents. You might scoff at the idea of shelling out an additional $999 just to clean your kid's clothes, but if you're considering using cloth diapers, you might change your tune. 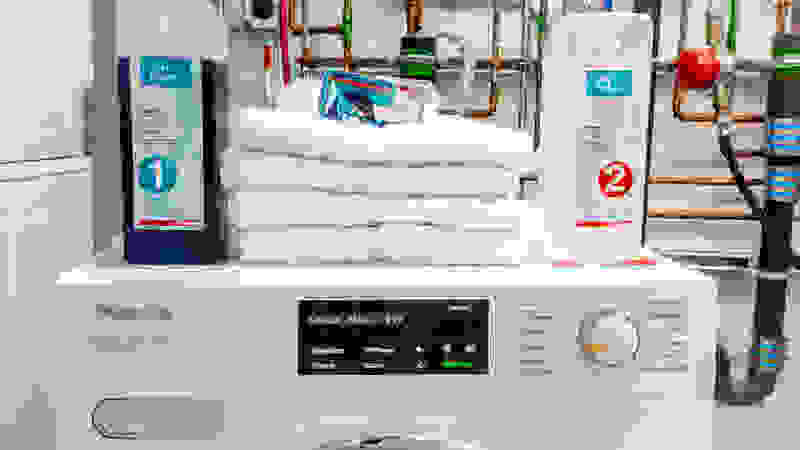 The WM1388HW has a powerful Sanitary cycle aided by an internal water heater, meaning germs on security blankets and those cloth diapers don't stand a chance. When you combine the high temperatures with a highly-textured steel drum, you get a washer that is tough on stains, and gentle on laundry. We were a little disappointed at how slow this machine is. Even the Speed Wash took over an hour. 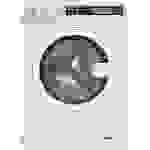 While this isn't out of the ordinary for a compact washer, it is surprising, given that full-sized LG washers have a feature called TurboWash, which creates cycles that are some of the fastest in the industry. For those willing to wait on the washer, the accompanying dryer is a deal maker. The LG DLEC888W got a comforter 99.7 percent dry in just an hour and fifteen minutes, a feat many full-sized dryers struggle with. Combine these two together, and you really can stop going to the laundromat, and put up your feet in your tiny home. I'm Jon Chan, and I tested all these compact washers, along with a few hundred other laundry machines. Over the years, my testing and reviewing philosophy is centered around: performance, value, and usability. To this end, washers that I recommend have to do something exceptional in two of these categories, while offering something in the third. It's not surprising that the Electrolux EFLS210TIW took a lead spot in this list. Electrolux makes some of our favorite front-loading washers, including the award-winning 617 model. With a 24-inch-wide body and a 2.4-cu.-ft. capacity, the EFLS210TIW can stand toe-to-toe with any of its compact competitors. In fact, this washer could take on full-sized models too. We liked the fact that this washer doesn't waste time. The Normal cycle is around one hour and 15 minutes, Heavy Duty is less than an hour, and Fast Wash lives up to its name, finishing in 21 minutes. The cleaning performance of the EFLS210TWI is on par with other washers on this list. 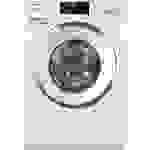 The only downside with the EFLS210TIW is with its accompanying dryer, the Electrolux EFDE210TIW. The dryer has issues with comforters, meaning you may need to take trips to the laundromat for heavy-duty items. If you line dry or are willing to mix-and-match laundry sets, you should seriously consider getting the compact Electrolux EFLS210TIW. The Fisher & Paykel (pronounced Pai-Kel) WH2424F1's control panel brims with features. It boasts 12 cleaning cycles, specialized add-ons like steam, and even a Wool cycle approved by Woolmark to ensure it won't wreck your favorite sweaters. And while this machine might have a very European-like feel, (Fisher & Paykel is based in New Zealand) we think Americans will take a shine to it. First off, the WH2424F1 has reasonably fast cycles. Quick Wash averaged in at around 32 minutes and aced our stain removal test. 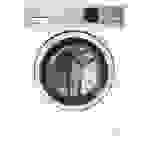 In fact, this washer did pretty well across the board when it comes to cleaning clothes. We found in a few instances, like the Heavy cycle, the Fisher & Paykel outperformed the higher ranked Miele W1. However, the WH2424F1 lagged behind efficiency ratings, preventing it from taking a top spot. At the end of each cycle, this compact failed to spin out excess water as well as its competitors. That means more work for the dryer. Luckily, the accompanying Fisher & Paykel DE4024P1 is an excellent ventless dryer. At the end of the day, we also noticed that the WH2424F1 uses more resources than we'd like. 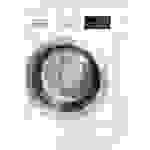 Based on our testing and data about the number of times the average American does laundry, we estimate this washer to cost about $70 a year to operate. 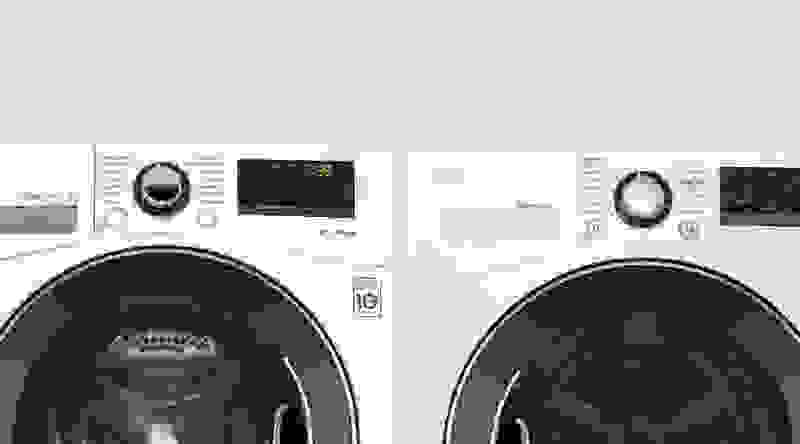 To put that in perspective, that's about 43 percent more than what the Miele W1 uses. Overall, if you want cleaner clothes and are will to wait hours for them to get dry, the Fisher & Paykel WH2424F1 is worth checking out. When you think GE washing machines, you typically think of traditional top loaders. However, the GE GFW148SSLWW shows that the storied American company can make a competent front loader and a compact at that. In terms of cleaning, the 148 washer ranks in the middle of the pack and every feature it has are found on other models. However, activating those features is more simple on this GE. Want to wash with steam? Just turn the dial to the Casual With Steam or Stain Wash With Steam cycle, and you're good to go. Simplicity with an American slant is what you're going to get with this compact washer and its accompanying dryer, the GE GFT14ESSLWW. Amongst the compact washers we've tested, the Bosch WAT28401UC has the most European of sensibilities. For example, this Bosch has two different Permanent Press cycles and uses a specialized 220V plug. Quirks aside, the 28401 proved to have exceptional German engineering. 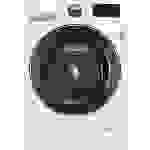 It had the best stain removal of any of the compact washers we've tested. That's unsurprising since the internal water heater is capable of reaching temperatures of close to 170°F. We similarly were impressed by some of the 28401's features, namely SpeedPerfect. During testing, we found that engaging SpeedPerfect knocked off about 15 minutes from selected cycles, but still got our test laundry just as clean. The catch is that it spun faster and used about 23 percent more water. While the 28401 was the best performing washer, we'd have a hard time recommending it over other options. First, that specialized plug we mentioned earlier plugs into the Bosch WTG86401UC dryer. That requirement limits where you can put your laundry units and what you can buy as replacements. Also, the 28401 is the most expensive washer on this list, while offering 10 percent less capacity. So, if money is no object, the Bosch is a good choice, but otherwise, try going with the Electrolux or LG.